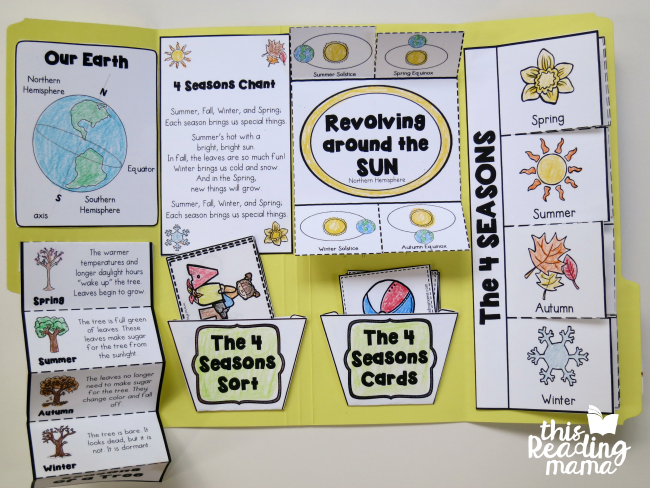 Looking for some hands-on and fun activities for learning about the 4 seasons? 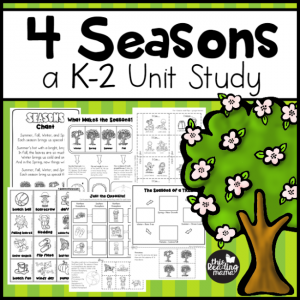 This unit study gets learners observing, exploring, and learning about seasons in both the Northern & Southern Hemisphere and MORE! 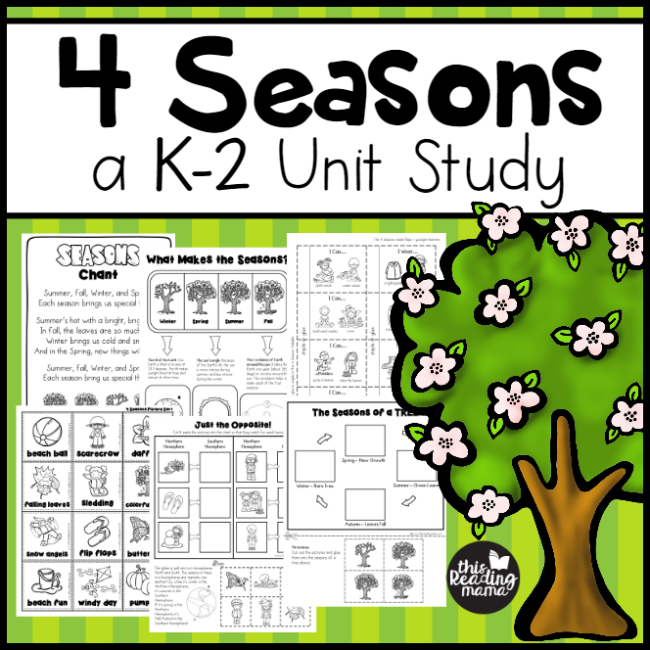 I’m so excited to share my newest K-2 Unit Study about the four seasons! 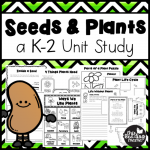 Just like our Seeds & Plants Unit Study and our Animals Unit Study, many of the activities are designed to get kids outside, exploring, touching, and learning about their world. 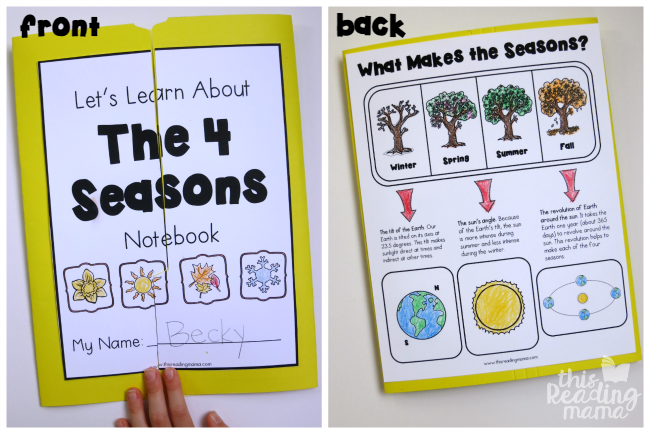 Teach 2nd grade? 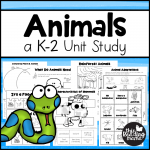 This unit can help you when teaching your learners. I learned quite a bit just putting it together!